The concept of “innocent before proven guilty” has always been a guiding principle in the American legal system. That the burden of proof must be on the accuser rather than the accused is so important that it is specifically included the Constitutions of such diverse nations as Iran, Colombia, Brazil, Canada, Italy, Romania, Russia, and France. Our own Constitution makes it clear in the Fifth, Sixth, and Fourteenth Amendments that the government can’t persecute its citizens without first proving that they have committed a crime. Of course, that prohibition has never stopped the government from doing whatever it wants to do, particularly everyone’s least favorite agency, the IRS. We all justly hate the IRS for walking away with a sizable chunk of our paychecks each month, but most people don’t realize they they have the power to straight up take money out of your bank account if you are suspected - not convicted, not accused, but suspected of criminal activity. This is not some theoretical or archaic legal loophole that never actually gets used. In fact, it gets used all the time. In 2012, the IRS used this power 639 times, a dramatic increase from the 14 such instances in 2005. It gets worse. It’s a dangerous world out there, and many of us are justly nervous about terrorist activity. If the IRS is persecuting ruthless criminals,what’s the big deal, right? 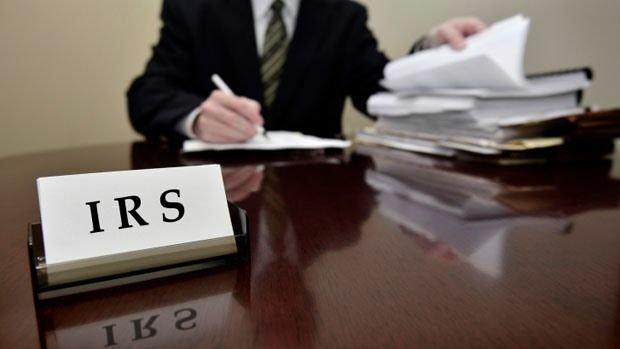 It turns out, the IRS is doing no such thing. A full 80 percent of the 2012 seizures were not followed up with any criminal proceedings whatsoever. The agency didn’t have a case against these people. In other words, they were innocent, and yet their own government had no problem stealing their hard earned money without so much as notifying them of what was going to happen. But wait there’s more! Everyone makes mistakes. As long as the IRS gave the money back after they found out no crime had been committed, no harm no foul, right? In many cases, the IRS keeps all of the money it takes, or else only gives back a portion of it. It would be hard to imagine a more clear cut case of outright theft from innocent people than this. If you arouse the suspicions of the feds, they can take your money and refuse to give it back without any further action. Can someone explain how this is any different from a common mugging? It’s outrageous in the extreme, and yet it’s only one of a number of abuses that emphasize the need for drastic and immediate criminal justice reform. We should not tolerate a government that treats its citizens as a personal piggy-bank.